He died after less than a week after the death of his boss. Thursday, April 11, in one of the offices of the State Duma of the Russian Federation found dead the assistant of the late Deputy, former FSB Director Nikolai Kovalyov. 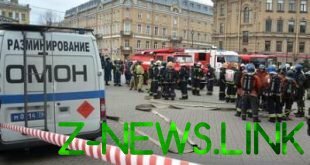 According to the source, the body of Sergey Shamarina found in the workplace in the building of the lower house of the Russian Parliament. “As far as we know, they worked together a long time, it was his old friend,” – said the Agency interlocutor. Sergey Shamarin died after less than a week after the death of his boss. State Duma Deputy Nikolai Kovalev died April 5 at the age of 69 after a long illness.